Nearly one million Australian customers are using the National Broadband Network's (NBN) 50Mbps speed product, according to the Australian consumer watchdog's Wholesale Market Indicators Report. The quarterly report, published by the Australian Competition and Consumer Commission (ACCC), has revealed that the number of customers on the NBN's 50Mbps speeds went from 158,959 to 989,360 in three months. Altogether, the number of 50Mbps services account for 26 per cent of all wholesale NBN services, with most services in operation (SIO) attributed to Telstra, which claimed just over 734,000 SIOs as at the end of March. Most other local telcos still have more customers on lower speed tiers, however Telstra has the highest concentration of customers on 50Mbps. In December 2017, NBN Co, the company behind Australia's NBN, launched its ‘Focus on 50’ promotion, which offered a temporary credit to retailers for acquiring 50 per cent more Connectivity Virtual Circuit (CVC) per user and reducing the price of the Access Virtual Circuit (AVC) for 50 Mbps services. “We are pleased to see retailers taking up the higher speed services and enabling their customers to shift to 50Mbps plans. This is good for consumers who can enjoy the benefits of higher speeds,” ACCC Chairman Rod Sims said. In fact, NBN Co revealed in April that it was keeping Focus on 50 going until 31 October 2018. At the same time, average CVC per user continues to increase, according to the ACCC, rising from 1.52Mbps in December 2017 to 1.55Mbps in March 2018. This follows a 38 per cent increase in CVC per user in the quarter to December 2017. “However, we would expect that with more consumers on higher speed plans, retailers will continue to provision enough CVC to ensure a continuing good customer experience, particularly during the busy evening periods,” Mr Sims said. In December, NBN Co revealed plans to introduce new product bundles combining access charges with some network CVC bandwidth capacity. Specifically, the company would introduce a new NBN 50 wholesale bundle charged at $45 a month, with 2Mbps of CVC included, and a new NBN 100 wholesale bundle at $65 a month with 2.5Mbps of CVC capacity included. Previously, the wholesale access charge and the capacity charge made up a two-part pricing model that had seen some retail service providers (RSPs) under-provision bandwidth, which has been a major contributor to issues relating to end user speeds during peak download times. By the end of March 2018, all 121 points of interconnection (POIs) had at least five access seeker groups -- telecommunications providers such as Telstra, TPG, Optus -- acquiring services directly from NBN Co. At least six groups were connected at 120 of the POIs, and 95 POIs had at least seven groups acquiring services. NBN Co announced on 9 May that the entirety of the network has now been directed away from temporary POIs, which were originally set up in 2011 to allow phone and internet providers to interconnect with the network during the initial stages of its construction, to established POIs. 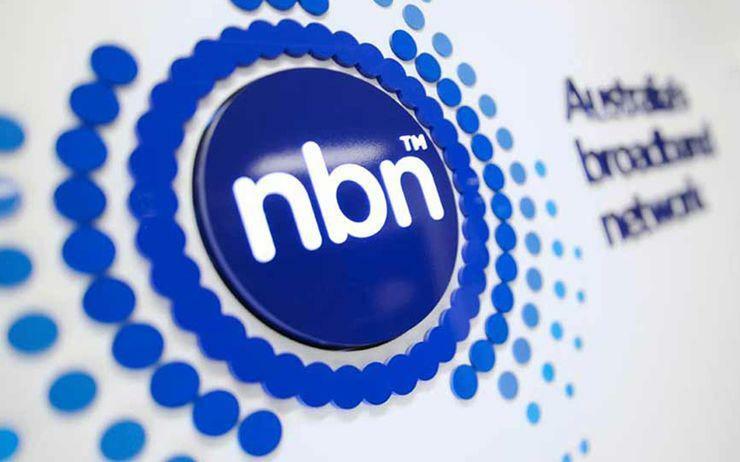 That means phone and internet service providers selling NBN services have nine months to transfer their services to the network’s established POIs, as NBN Co prepares to decommission its temporary POIs. Meanwhile, NBN Co published its financial results for the nine months of the fiscal year ended 31 March 2018. The company total revenue increased by 112 per cent to $1.4 billion compared to the previous corresponding period. Earnings before interest, tax, depreciation and amortisation (EBITDA) have gone up 41 per cent but it is still at a loss of $389 million. There are currently 6.5 million premises ready to connect to the NBN, and 7.5 million premises ready for service. Also, 3.7 million premises have an active NBN service. “These results demonstrate the progress we’re making on our top three priorities, which are to complete the build by 2020, improve the end user experience, and deliver a modest return on the tax payer’s investment," NBN Co CEO Bill Morrow said.